I love crêpe pancakes! They are one of my favourite treats that I can enjoy guilt-free. I love just throwing ingredients together and seeing what happens and this recipe was exactly that, throwing together these ingredients made such a lovely and healthy crêpe for the whole family to enjoy. In the last 6 months I have stopped drinking/using milk in my diet. I had noticed that after I consumed milk, I felt sick, sluggish and my IBS would kick in. I now use a nut milk alternative, Almond milk in particular. At first I really wasn’t sure that I could keep using Almond Milk in my diet as the taste is very different from milk, but the more I consumed it the more I liked it and now I LOVE it! These are great benefits and Almond Milk is a great product to have in your cupboard for a cooking and baking ingredient alternative. So here is my Healthy Dairy Free Crêpe recipe.. Enjoy for breakfast or as a post gym-snack/meal.. 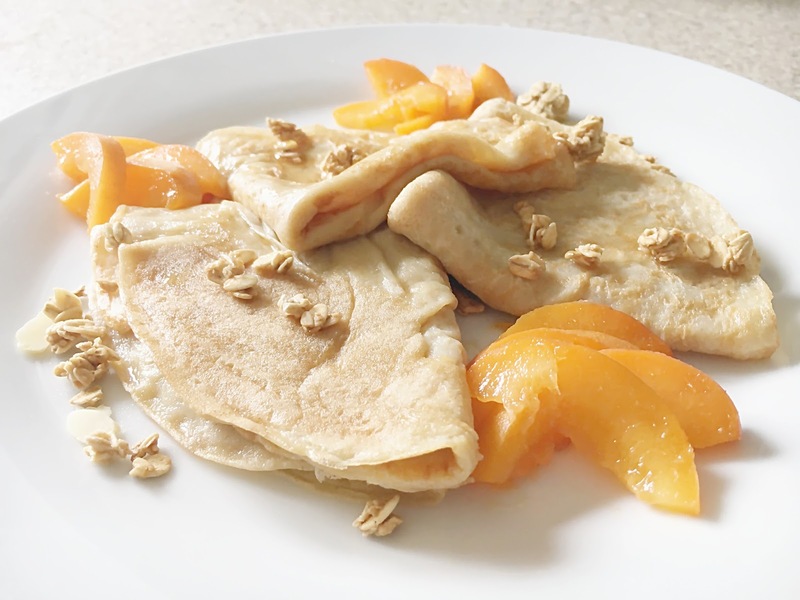 If you want a more traditional pancake crêpe recipe, here is my recipe. My tip would be to cut dairy out slowly and not all at once, this will make it easier. Also don’t forget to increase your intake of Calcium from other foods and take supplements. I love cheese too!